UniSource Energy Services (UES) is a utility company that provides safe, reliable and affordable electric and gas service throughout most of Mohave County as well as in other communities in northern and southern Arizona. 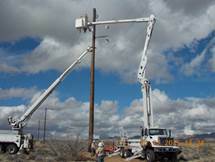 In Mohave County UES Electric covers 7,927 square miles with 78,696 customers. In the greater Kingman area, UES Electric covers 5,037 square miles with 36,952 customers. 3,914 are business customers. 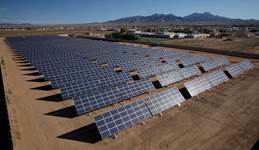 To deliver the Kingman area’s necessary 155 MW of power during peak hours, UES Electric owns a generating plant (Gila River), a peaking station (Black Mountain) and solar resources. Any additional power requirements are met by buying power on the market. Purchased power is combination of traditional fuel and renewables. To ensure that the power is delivered to every Kingman area customer, UES Electric has a grid of over 270 miles of transmission lines and 2,150 miles of distribution lines. As never before, there is interest in the safety and reliability of the national electric grid. UES Electric understands. Over the past three years, UES has invested about $170 million to acquire new power-production resources, upgrade its transmission and distribution systems and make other improvements to better serve customers. The company is committed to maintaining, and improving, its outstanding track record for safety and reliability. 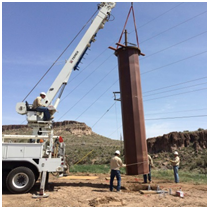 As a business moving to Kingman, you can count on reliable power from UES Electric. For routine activity, you will be most efficiently assisted by calling 877–UES-4 YOU (877-837-4968). 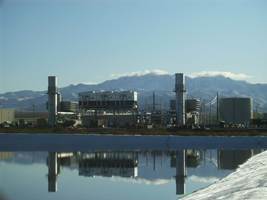 However if you are a business owner looking to locate in Kingman or expand your existing facility, UES Electric has a dedicated team in Kingman ready to make the process easy. Call the local office at 928-681-8913 and you will be connected with a customer relationship manager or engineer that can answer all of your power questions, schedule an appointment, provide you with an application for service, and outline the requirements for an engineer-stamped set of electric plans.